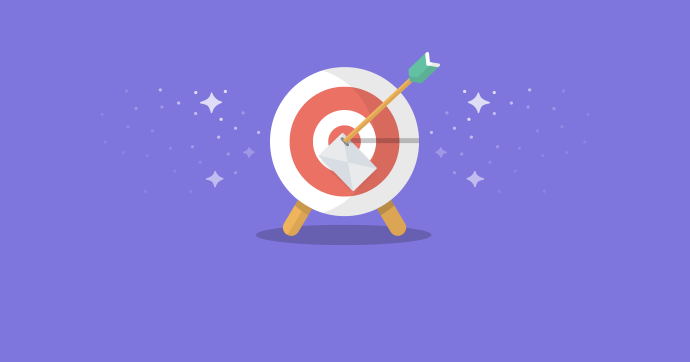 Goal setting is crucial to email marketing success. Defining your email marketing campaign goals helps guide the direction of your campaign, and makes it easier to measure the success of your efforts. It also helps prevent batch-and-blasting and sending an email just because. The answers to these questions form the backbone of your campaign and will be top of mind as you navigate the creation of your email. THE ACTION: WHAT DO YOU WANT YOUR SUBSCRIBER TO DO? Why are you sending the email? Are numbers down and you’re looking to increase sales? Are you trying to ramp up registration for an event? Do you want to launch a new product? Answering the why will help determine what you want your subscribers to do. It defines the call-to-action (CTA) of your campaign. For example, if you’re looking to ramp up registration for an event, then you’ll want your subscribers to buy a ticket, so the CTA will be a link to register. The main CTA (and, therefore, main goal of your campaign) should be extremely clear. Make it easy for your subscribers to take action on. This doesn’t mean that you can’t have other links in your campaign, but the main content and focus of the email should be working towards one goal. THE AUDIENCE: WHO ARE YOU SENDING THE CAMPAIGN TO? Once you’ve defined the action, put it in context with your subscribers. Which of your subscribers does it make sense to send the campaign to? For example, you wouldn’t send a registration email to someone who already registered, nor would you send a free trial coupon to someone who’s already paying for your service. Segment your lists appropriately. Also understand where your subscribers will be reading your campaign, as that will help guide design efforts. For example, if your list has a heavy mobile audience, you may want to consider using responsive or hybrid email design. The CTA, content, and design all must be relevant to your subscribers. THE BENEFIT: WHY SHOULD YOUR SUBSCRIBERS CARE? If your subscribers take the intended action, you know what the benefit to you as the sender will be (an increase in sales, brand awareness, etc.). But what is the benefit to the subscriber? In order to create a relationship with your subscribers, you need to think about them, too. Consider the WIIFM factor—put yourself in your subscriber’s shoes and ask, “What’s in it for me?” If they read an article, will it increase their knowledge on a certain topic? If they purchase one of your products, will it make their job easier? If they register for one of your events, will they get to network and learn from others in the industry? Answering this question will help write the content of the campaign. Clearly state the benefit of taking the intended action, and use relatable, positive language. THE RESULTS: HOW WILL YOU MEASURE THE SUCCESS OF THE CAMPAIGN? You’ve defined which actions you want your subscribers to take, and the goals you’re achieving if they take those actions. Now it’s time to determine which metrics go toward achieving that goal. While open rates and click rates are two of the most popular ways of measuring email campaign success, they don’t show the whole picture. They don’t show whether a goal was reached. For example, while our “save the date” email for The Email Design Conference had lower than average opens and clicks, increasing those metrics wasn’t our goal. The main CTA in the campaign asked our readers to tweet—and, boy, did we get a lot of tweets. It excelled at its stated goals of driving awareness and creating buzz around the conference. Once you’ve defined your goals and carefully crafted your campaign, it’s time to make sure every aspect of it is working properly. Are your links working? Is tracking in place? With Checklist, you can preview your email in 50+ apps and devices; validate that your links, images, and tracking work properly; test your email’s load time; and more–all before pressing send.